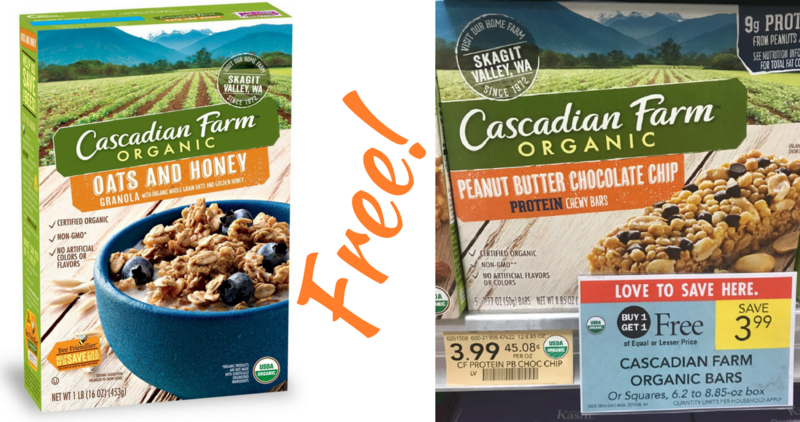 Home > Printable Coupons > Cascadian Farm Organic Cereal or Granola Bars for Free! Cascadian Farm Organic Cereal or Granola Bars for Free! This week there are great deals on Cascadian Farm Organic cereal and bars. Head to Publix or Kroger to stock up on organic breakfast items for FREE!